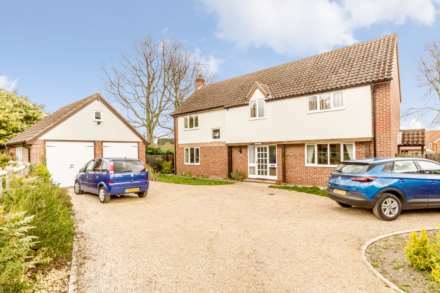 Situated within the historic sought after village of Castle Acre, Longsons are delighted to bring to the market this spacious, detached three bedroom house with integral garage. The property boasts two reception rooms, log burning stove, utility room, first floor bathroom, ground floor shower room and parking for several vehicles. Offered for sale - CHAIN FREE! Briefly, the property comprises entrance porch, entrance hall, lounge, dining room, kitchen, utility room, shower room (ground floor), three bedrooms, bathroom, integral garage, gardens and parking for several vehicles. Swaffham 5 miles; King`s Lynn 20 miles. 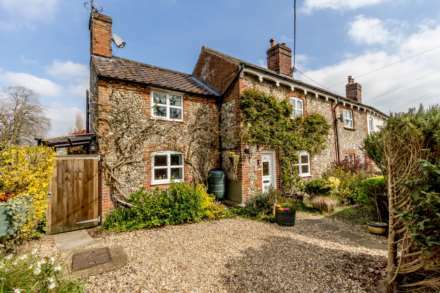 A popular, sought after, large west Norfolk conservation village with pretty red brick and flint faced cottages, Castle Acre is set within rural landscape and boasts an historical past. The village retains the ruins of a Norman castle with earthworks, the beautiful church of St James and the ruins of a Cluniac Priory. The main entrance into this attractive village is through Bailey Gate, a 13th Century flint gateway, under which pilgrims have passed for hundreds of years on their way to the shrine at Little Walsingham, a pilgrimage which still takes place today. There is a large village green surrounded by lime trees, cottages, traditional tea rooms, a public house serving meals and further along the road, a village store newly built complete with fish & chip shop. Entrance door to front, obscure glass full height UPVC double glazed windows to front and side. Glazed entrance door opening to entrance porch, obscure glass double glazed full height windows either side, stairs to first floor, understairs storage cupboard, parquet flooring, radiator. Feature fireplace with stone surround, wooden mantle and inset multifuel burning stove, double glazed windows to front and side, wood effect laminate to floor, glazed double doors opening to dining room, radiator. Glazed French doors opening to side, wood effect laminate to floor, radiator. Fitted kitchen units to wall and floor, work surface over, composite sink unit with mixer tap and drainer, integral electric double oven, integral electric hob with extractor hood over, tiles to floor, double glazed window to rear, radiator. Tiles to floor, radiator, door opening to integral garage. Fitted kitchen units to wall and floor, work surface over, ceramic butler style sink unit, oil fired wall mounted central heating boiler, tiles to floor, window to side, entrance door and window to rear. Shower cubicle, wash basin, WC, obscure glass window to side, tiles to floor, heated towel rail. Window to side, loft access. Built-in wardrobes, built-in cupboard housing hot water cylinder, double glazed windows to front and side, radiator. Built-in wardrobe, double glazed window to side, radiator. Built-in wardrobe, double glazed window to front, radiator. Bathroom suite comprising bath with wall mounted electric shower over and shower curtain, wash basin, WC, tiled splashback, heated towel rail, tiles to floor. Up and over main door to front, window to side. Front garden laid to lawn, driveways to either side of front garden with parking for several vehicles, selection of shrubs and plants to beds and borders, hedge and wooden fence to perimeter, outside tap, external lighting. Laid to lawn, wooden decked seating area, paved patio seating area set within flint and brick garden wall, two wooden garden sheds, outside light, outside tap, conifer hedge and wooden fence to perimeter.